Kit Harington has a new project at HBO. Recently, the network announced their upcoming TV show Gunpowder will debut in December. The historical mini-series is a “a three-part thriller based on the real-life 17th century events that led to Guy Fawkes Day.” The cast includes Harington, Peter Mullan, Liv Tyler, and Mark Gatiss. Gunpowder premieres on HBO on December 18th at 10 p.m. ET/PT. GUNPOWDER, a three-part thriller based on the real-life 17th century events that led to Guy Fawkes Day, will debut on HBO this December. The first episode will debut MONDAY, DEC. 18 (10:00–11:00 p.m. ET/PT), followed by the other parts the subsequent two nights — TUESDAY, DEC. 19 and WEDNESDAY, DEC. 20 — at the same time. It is produced by Kudos (part of Endemol Shine Group) in association with Thriker Films, originally for BBC One. The show will also be available on HBO On Demand, HBO NOW, HBO GO and affiliate portals. 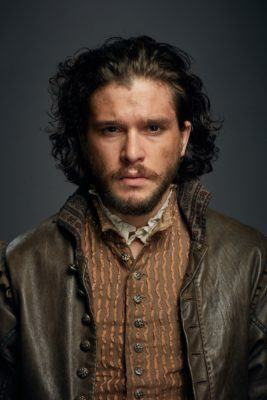 Harington, who is also a co-executive producer on the show, has a personal connection to the real-life source of GUNPOWDER. The actor is a descendant of Robert Catesby, the central figure in the story, and plays him in the show. Originally commissioned by BBC One in the U.K., GUNPOWDER stars Kit Harington as Robert Catesby, who was the driving force behind the Gunpowder Plot in 1605 London. A committed Catholic at a time when Protestant England persecutes Catholics relentlessly, Catesby’s refusal to abandon his religion brings him to the edge of financial, social and psychological ruin. Mark Gatiss plays Robert Cecil, King James’ spymaster, who directs efforts to hunt down, torture and kill priests, while rank-and-file Catholics are subject to oppression and the loss of their property. Peter Mullan portrays head Jesuit Father Garnet, whose peaceful protestations have little effect on Catesby. Liv Tyler plays Catesby’s astute and capable cousin, Anne Vaux, who becomes suspicious about his activities and fears the consequences will be the exact opposite of what Catesby intends. GUNPOWDER chronicles the evolution of the plot, the selection of collaborators to carry it out, the gathering of resources and the obstacles to its execution, even as Catesby’s team plays a deadly cat and mouse game with Cecil’s ruthless spy network. Also starring in GUNPOWDER are Edward Holcroft (“Kingsman: The Golden Circle”), Shaun Dooley (“Broadchurch”), Tom Cullen (“Downton Abbey”), Robert Emms (“War Horse”), Derek Riddell (“The Missing”), Sian Webber (“EastEnders”), David Bamber (HBO’s “Rome”) and Kevin Eldon (HBO’s “Game of Thrones”). What do you think? Are you a fan of historical dramas? Will you watch Gunpowder? More about: Gunpowder, Gunpowder: canceled or renewed?, HBO TV shows: canceled or renewed?